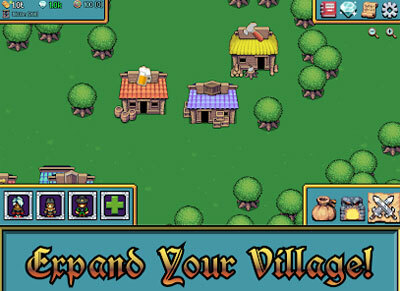 Wizard’s Wheel 2 is an awesome retro RPG from Iron Horse Games. The dimension is in peril and only you can save it. Tap to guide your heroes through the frontier, find and upgrade new heroes, battle monsters and collect powerful upgrades. You’ll have to battle monsters, loot epic equipment, level up your skills and create a party of heroes to go deeper into dangerous dungeons. Spin your Wizard’s Wheel to accelerate time and find hidden treasure in a pixel dungeon, making sure your tap heroes survive difficult bosses. Each pixel dungeon is packed with 100’s of monsters. Collect over 50 heroes as you crawl through dungeons. Find hidden loot and customize your heroes with the epic loot. If you get stuck in the game, check out the video walkthrough and gameplay for the game. This entry was posted in Android Games, iOS Games, Mobile Games, Walkthrough and tagged Wizard's Wheel 2 Cheats, Wizard's Wheel 2 Game, Wizard's Wheel 2 Gameplay, Wizard's Wheel 2 Guide, Wizard's Wheel 2 Hints, Wizard's Wheel 2 Review, Wizard's Wheel 2 Solutions, Wizard's Wheel 2 Strategy, Wizard's Wheel 2 Tips, Wizard's Wheel 2 Walkthrough by Marvin. Bookmark the permalink.